Our Brain, The Trickster : 13.7: Cosmos And Culture Don't get fooled into believing you know what reality is, says commentator Marcelo Gleiser. It's a trick the brain plays on us, an illusion spun together out of our many bodily senses. 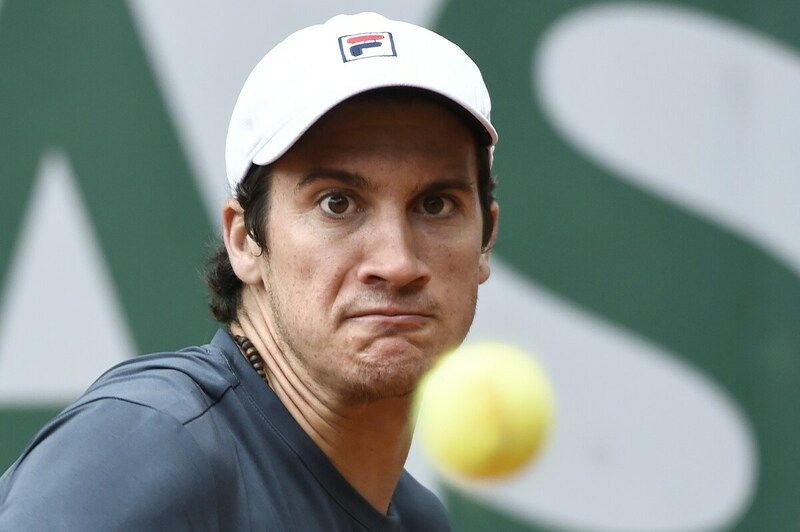 Argentina's Facundo Bagnis does his best to integrate space and time as he brings his senses to bear on a tennis ball at the French Open. The "here and now." We say these words with perfect calm and composure, as if they mean something. We think we know what they mean. They serve an obvious purpose in our lives. But come to think of it, even if we have more freedom with the "here" — as we are free to move about in space and can conceive of an object filling up a volume in space — the "now" doesn't really exist. Our minds create a representation of both so we may guide ourselves in space and time. What we call reality is the result of our brain's very complex integration of external stimuli: sights, sounds, tastes, touch and smells. The "out there" is collected by our sensory organs, brought into the proper parts of our brain for processing and then, somehow, all this gets integrated into a sense of reality. "Here and now" are one of these integrations, approximations that make us function. Without the here, how would we move about? Without the now, how would we connect past and future? That the brain builds reality shouldn't be news to anyone. All you have to do is mess with it, get drunk or drugged or don't sleep for a couple of nights, and your perception of reality is fundamentally altered. Who you are, and how you relate to the world, depend exclusively on how your brain integrates sensorial stimuli with the memories you manage to invoke. It's an interesting paradox that, even though our memory of past events is so faulty and fragmented, our sense of self remains strong day in and day out. When we look around, we see objects as they were in the past; and even if they are at different distances from us, say a cloud and the sun, we see them at once, in the present. But objects farther out are also farther in the past: we see them not as they are, but as they were. And the farther they are the more in the past we see them: the sun as it were 8 minutes ago; your laptop screen at about a billionth of a second ago. These are the times light takes to go from the object to your eyes. We can thank the brain for tricking us into building a sense of the "real." We perceive nothing in the actual present. What we call "the present" is built out of the integration of many past histories. The flow of time is the succession of these integrations, disjointed but appearing to be continuous, as if life were a grand movie. The analogy is apt for even movies are discontinuous; to see this, all you have to do is change the frame rate. Meanwhile, enjoy the show!